A two-fold paper screen painted in ink on a gold and buff ground. 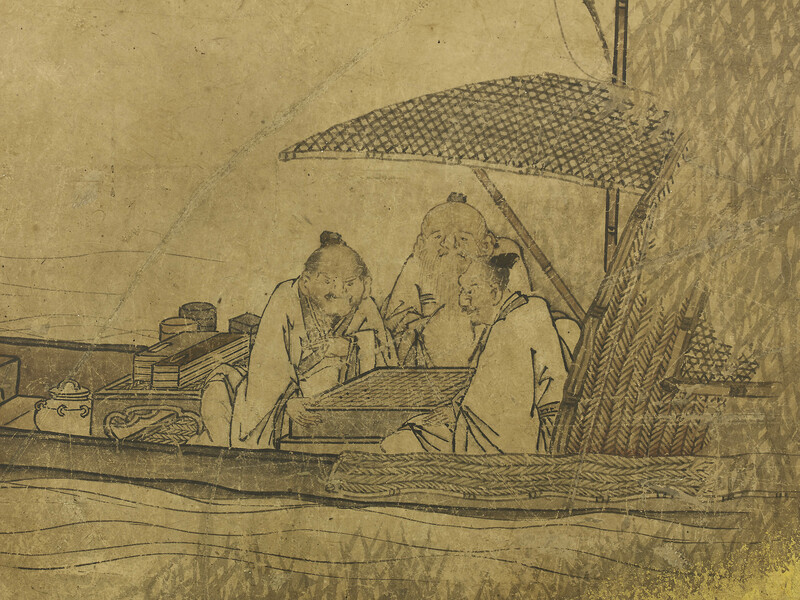 The scene, contained within a roundel of gunbai (war fan) form, depicts a winter landscape with geese in flight and three Chinese scholars playing go in a boat moored at a reed covered river bank. 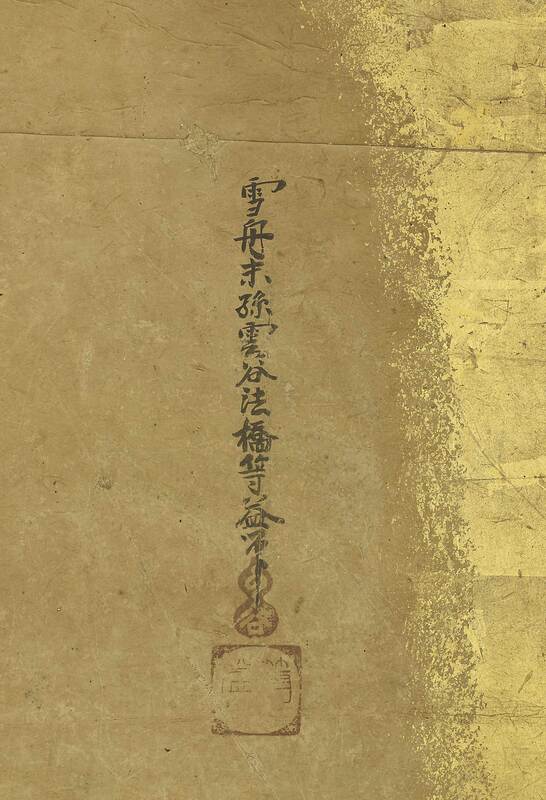 Unkoku Tōeki (1591-1644). 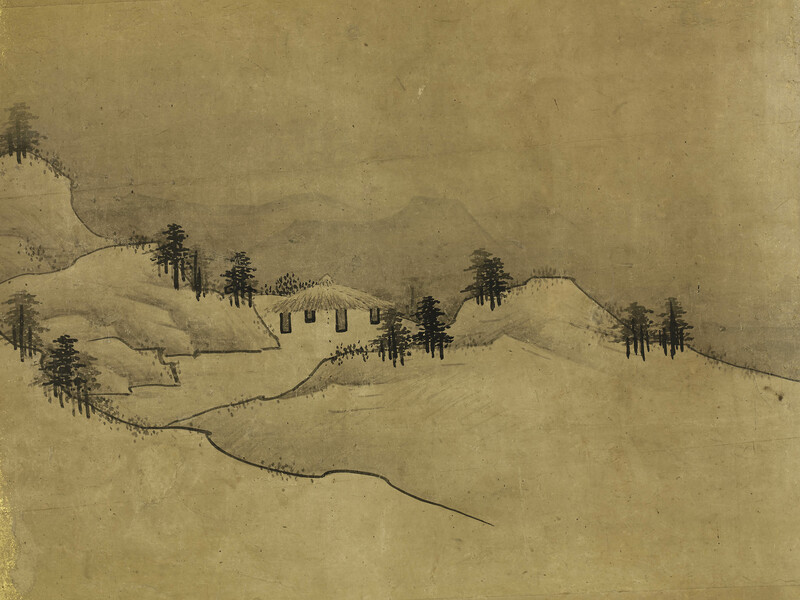 Born in Hiroshima, Suō Province, the second son and pupil of Unkoku Togan (1547-1618). 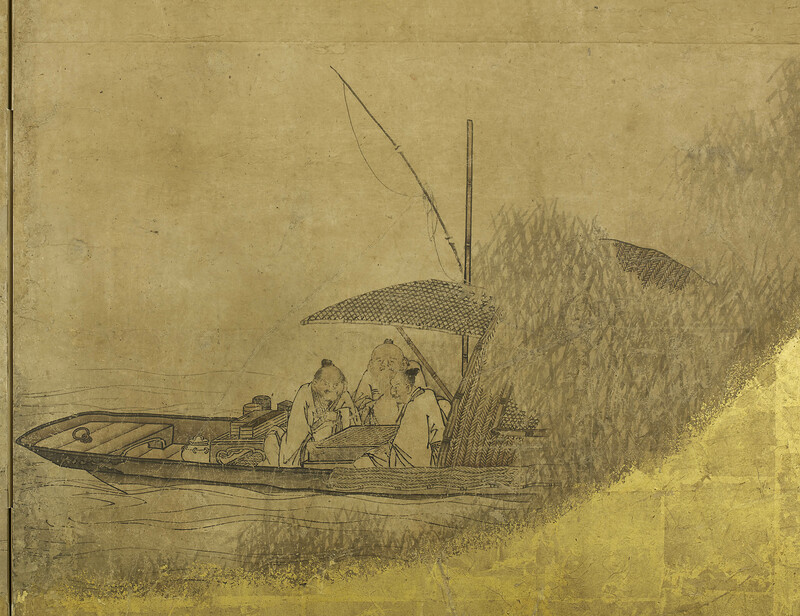 He succeeded his father as the official painter to the Mōri family, and became known as Sesshū IV. 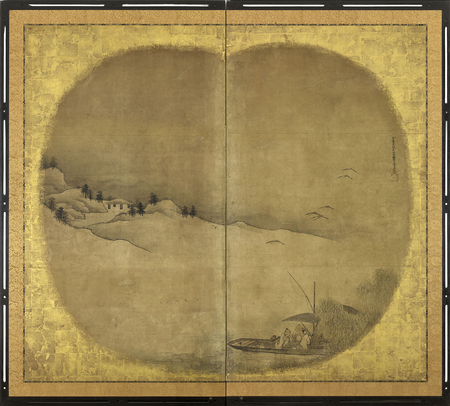 An artist of considerable talent, specialising in landscapes and figures, he received the honorary title of Hokkyō in 1626. 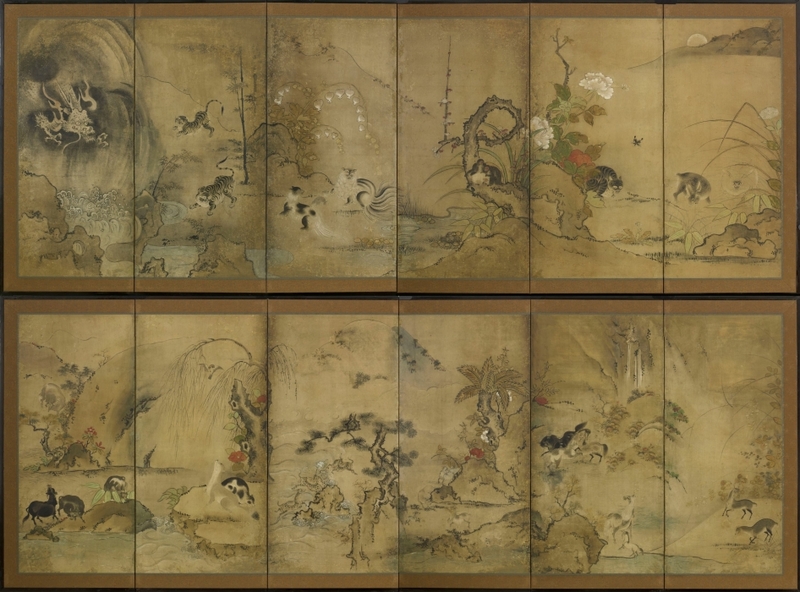 Works by the artist can be found in the collections of: Denver Art Museum, Colorado: Detroit Institute of Arts, Michigan; Freer Gallery of Art, Washington; Jōei-ji,Yamaguchi-ken; Metropolitan Museum of Art, New York; Museum für Kunst und Gerwerbe, Hamburg; Museum of Fine Arts, Boston, Mass; University of Michigan Museum of Art, Ann Arbor. SKU: 6484. Categories: Screens, Two Fold.